i-MBA and the Athens Center for Entrepreneurship and Innovation of the Athens University of Economics and Business are pleased to announce an invited lecture by Ms. Kelly Vlahakis-Hanks, President and Chief Executive Officer of Earth Friendly Products, a U.S.-based manufacturer of environmentally friendly cleaning products, on November 26th, 2015 (18.00-20.00). Founded by Eftichios “Van” Vlahakis in 1967, Earth Friendly Products sells ECOS laundry detergent and over 150 other “green” cleaning products worldwide to over 65 countries. Born in Crete, Van Vlahakis came to the United States after WWII, got a degree in Chemistry and began making safer cleaning products, starting off as a one-man show mixing chemicals in the garage! Now Earth Friendly Products is a leading manufacturer of cleaners that are made using plant-based ingredients and environmentally friendly production processes, made without toxins, petrochemicals, bleach, ammonia or phosphates. Earth Friendly Products has five facilities strategically located across the U.S. (CA, IL, New NJ, FL and WA) and is a carbon-neutral manufacturer. After the death of Van, Kelly Vlahakis-Hanks assumed the role of CEO to lead a new era for the company while maintain the company’s legacy as an “eco-pioneer.” In this lecture, entitled From Crete to Chicago to the World: Branding and Marketing Earth Friendly Products in Global Retail Markets, Ms. Vlahakis-Hanks will discuss strategic decisions like independent growth, pro-active decision-making, the choice for private label lines, on-line and world-of-mouth promotional campaigns, event planning, and specific CSR activities. Lastly, EFP’s approach in logistics, energy independence and commitment to carbon neutrality will be explained. Examples like the Disney Baby ECOS product line will be presented. “A Green Story,” a major Hollywood movie released in 2012, tells the story of Van Vlahakis’ life in Greece and the U.S. and the challenges and successes of Earth Friendly Products. The presentation will take place on Thursday, November 26th, 2015, 18.00 – 20.00, at the premises of the Athens Center for Entrepreneurship and Innovation (46 Kefallinias Str. 11252, Athens). To download the poster or the event, click here. Family owned and operated since 1967, Earth Friendly Products is dedicated to providing environmentally friendly products with superior cleaning results. Earth Friendly Products distributes ECOS laundry detergent and over 150 other green cleaning products throughout the United States and to over 60 countries. Earth Friendly Products makes all its household and commercial cleaners using plant-based ingredients and environmentally friendly production processes. As a primary manufacturer with five facilities strategically located throughout the U.S., Earth Friendly Products is a carbon neutral manufacturer that saves over 53 million pounds of carbon dioxide annually. Earth Friendly Products received the U.S. EPA’s coveted Safer Choice Partner of the Year award for its innovations in safer chemistry, and it makes more Safer Choice–certified products than any other company. 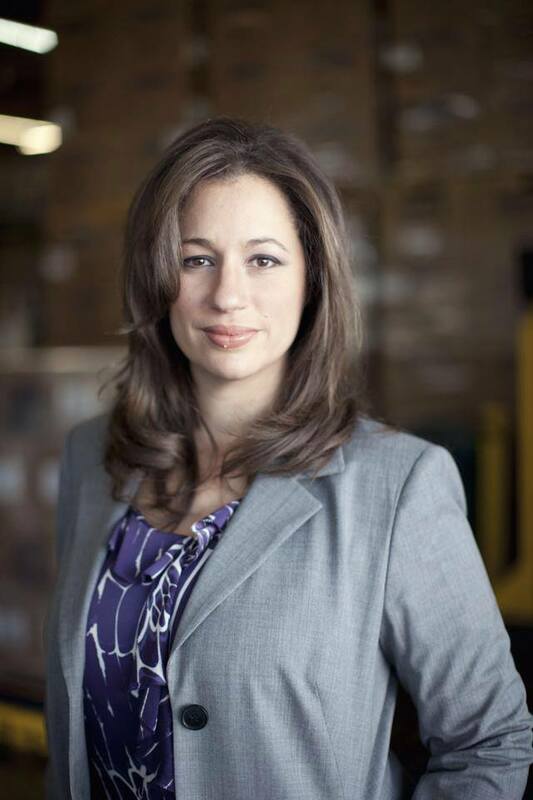 As President and CEO of Earth Friendly Products, Kelly Vlahakis-Hanks oversees five manufacturing facilities across the U.S. and a global sales office in Greece. She has been recognized for her highly effective leadership and influential voice in the green movement. Vlahakis-Hanks has been instrumental in making Earth Friendly Products a model for green business practices, implementing new operating policies and procedures that have helped Earth Friendly Products become a leader in the green cleaning market. A graduate of the University of California, Los Angeles, Vlahakis-Hanks held earlier positions as a public relations executive and the director of a nonprofit organization before joining Earth Friendly Products in 2003. Vlahakis-Hanks was promoted to Executive Vice President in 2009 and was responsible for opening five new manufacturing facilities, including a new division in a new region (the Pacific Northwest). Vlahakis-Hanks has been featured on CNN, ABC News, FOX News, NBC News, Bloomberg and Wall Street Journal “Marketwatch” and in the Los Angeles Times. In 2014 she was named a “Global Woman of the Year” at the Global Women’s Conference. 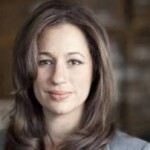 Vlahakis-Hanks was a leading voice in the formation of the Sustainability Consortium and has served as a key strategic advisor to Walmart’s sustainability and conservation efforts. She sits on several boards, including the American Sustainable Business Council and the Environmental Media Association.